What does AQURON 300 Waterproofing Additive for Concrete do? AQURON 300 is a liquid waterproofing additive for concrete that is “mixed in” at the readymix concrete plant. 1. Waterproof Concrete - AQURON 300 waterproofing additive for concrete produces a hydrogel and transforms moisture throughout porosity to achieved an impermeable concrete and internal corrosion protection. 2. 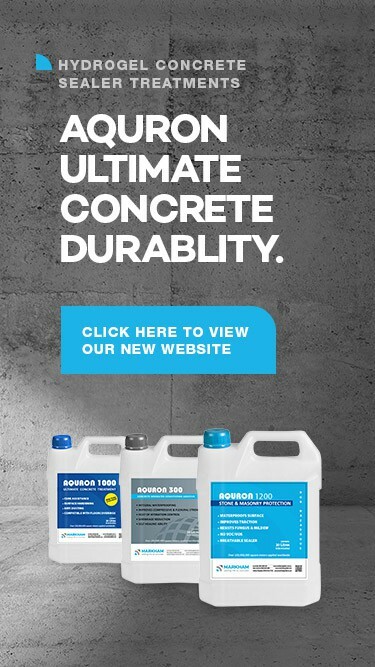 Stronger Concrete - AQURON 300 waterproofing additive Increases strength and performance by transforming moisture and improving hydration to increase Increases early and ultimate compressive, flexural and tensile strengths of concrete.